HQ Trivia is a sensation. The app-based game show sees people try to answer twelve questions – some easy, some fiendishly difficult – in the hope of winning cash. Since its launch, it’s gone from strength to strength, launching a UK version, bringing on new guest hosts, and clinching sponsorship deals with global brands like Nike. Now, it’s introducing a new feature that lets you play with (and compete against) friends and family. The feature – called “Friends on HQ” – lets you see friends who are playing, and track their progress in the game. So, if you stumble after question three, your mates will know. You can also see stats about your friends’ performance, including how many games they’ve played, how many they’ve beaten, and their total cash winnings. The feature was unveiled to UK users last night, and is gradually rolling out to players of the US game. 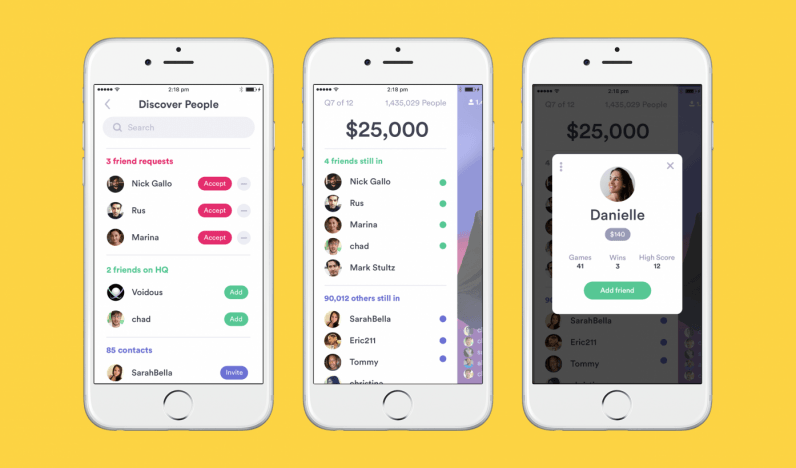 HQ Trivia says that this will ultimately be the basis of another social element, due to be released next week – although it’s keeping mum about what that could be.